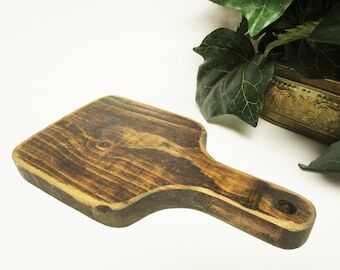 This finished Primitive Hen on barn wood base is perfect for Kitchen Decorating! 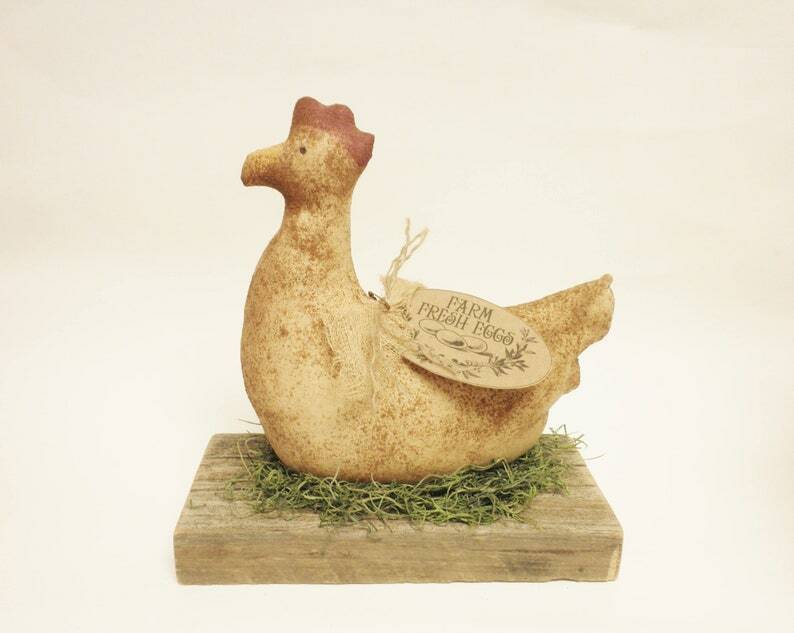 The Hen is nice for decorating a shelf, counter or even the dinning room table for touch of rustic Farmhouse charm. This sweet handmade Chicken is crafted from stained and painted muslin with a dusting of cinnamon. 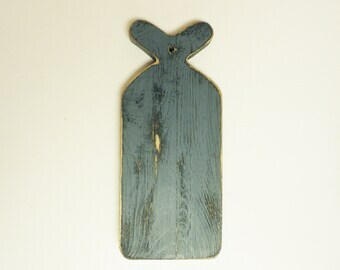 It has a cheesecloth, twine and paper tag accent fastened with a rusty safety pin. 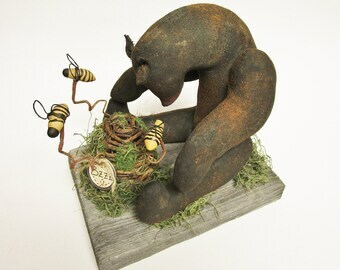 She is nestled down in a bed of green moss on a piece of old barn wood. Measures approximately 8" H x 8" L x 4" W (Chicken is about 7" H x 7" L x 2 1/2" W). Intended for Decorative Use. An wonderful Folk Art Hen for decorating all year long!